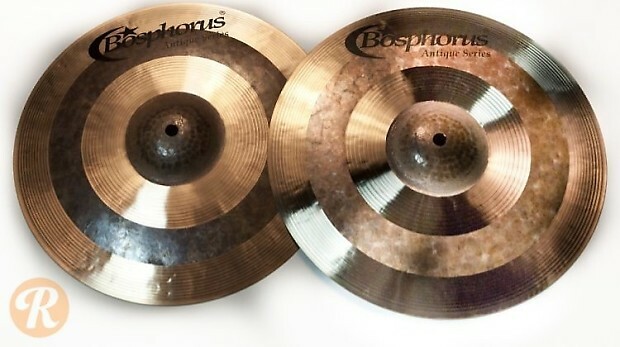 Bosphorus Cymbals was founded in 1996 after the dissolution of the original Istanbul company. Three of Istanbul's master cymbalsmiths, who trained under Mehmet and Agop, created the new enterprise which still operates in Istanbul making cymbals in the traditional Turkish fashion. The Antique series combines the lathing patterns of the Traditional and Turk series in concentric ring patterns for a wider spectrum of playing textures and more pronounced presence. The Bright Hi-Hats accentuate the higher-end of the tonal spectrum and respond with a more trebled articulation and wash.